For those of you who are having severe winter weather this year, I'm sure you are hoping that on February 2nd Puxsutawney Phil does not see his shadow and spring will soon be here. I remember growing up in New York, I always hoped that it would be a cloudy day in Gobbler's Knob, Pennsylvania. Do you believe in this tradition? Did you know that there are other groundhogs around the country that predict if spring will be here soon? Well, I've put together a list of some fun Shared Reading Books, Free Website Resources with fun crafts, printables, and information and of course a few free activities from me to help you celebrate the holiday with your students. If you are looking for lots of information about Groundhog Day, Photos and Fun Facts, just click on the picture below. There are some fun free crafts, crossword puzzles, word searches, and poetry at DLTK-Kids which you can check out by clicking on the picture below. You may also want to check out my Groovy Groundhog Unit for Grades 1-2 . It's not only about Groundhog Day but students will learn all about Groundhogs through Reading and Writing activities and make their own Animal Report about a Woodland Animal. If you download the Preview you will get the following Free Reading Text and Groundhog Adjective Web and see all the materials included in this unit. Just click on the picture to download your freebie. In case that's not enough I have one more fun freebie for you which you can download by clicking on the picture below. Hope you find some fun resources to use in your classroom. Whatever Phil predicts we know that spring will eventually get here. Stay safe and warm!. What is your favorite Groundhog Day book to read to your students? What an awesome roundup of ideas! Thanks for sharing, Arlene! I love this. Thanks! 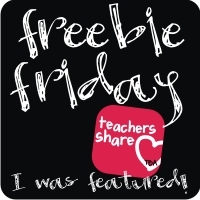 I originally saw your freebie activity posted on Classroom Freebies. When clicking on the picture it took me to a web ring site. But with a little tenacity I was able to locate the source--you! :) Again, love this so much---thanks.